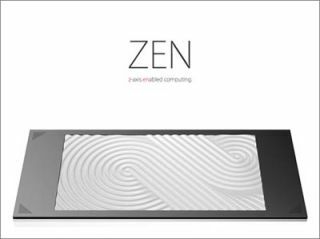 The Zen PC concept has the potential of enabling the millions of blind and partially sighted people worldwide to massively improve their abilities to use a PC. The tablet-like Sandbox PC running the Zen OS allows for users to operate the computer via an active surface that changes texture, displaying text in Braille and producing images and icons that could be felt by the user. It’s currently only at the concept stage, but TechRadar will be bringing you regular news updates on this interesting and genuinely useful technology as we get them. In other news, Sony publicly welcomed the recently launched Ofcom and RNIB Audio Description (AD) Awareness Campaign today – which highlights the same need for education among consumers to raise awareness of the importance of Audio Description for Blind and partially sighted viewers. In the UK, broadcasters are legally required to provide Audio Description content - an additional narrative soundtrack for blind or partially sighted people. During gaps in programme dialogue, an additional voice explains visual plot points, enabling visually impaired people to follow the storyline more fully. “We are all used to seeing and using subtitles on TV, but what many people don’t know is that the technology exists to make a similarly useful service available for the 30 million or so visually impaired people we have in Europe,” says Hiroshi Sakamoto, Vice President TV Operations Europe at Sony. The Ofcom campaign is set to screen promotional trails across more than 70 television channels, to explain what AD is and invite viewers to find out more about the service.